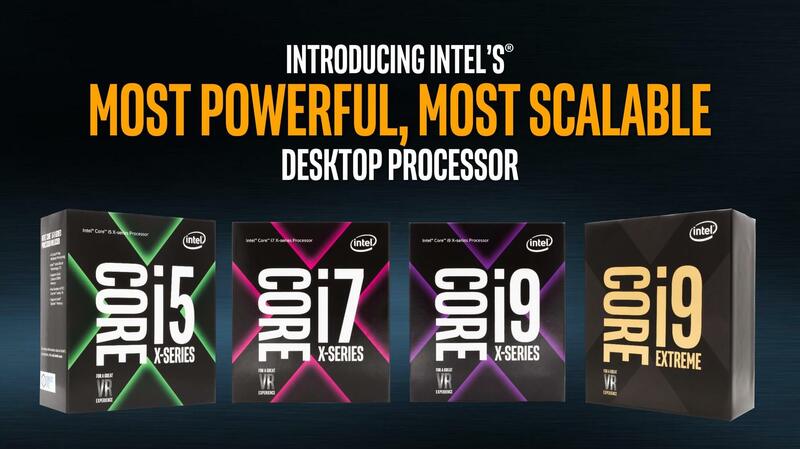 Just as expected, Intel has revealed its new family of enthusiast processors at Computex. 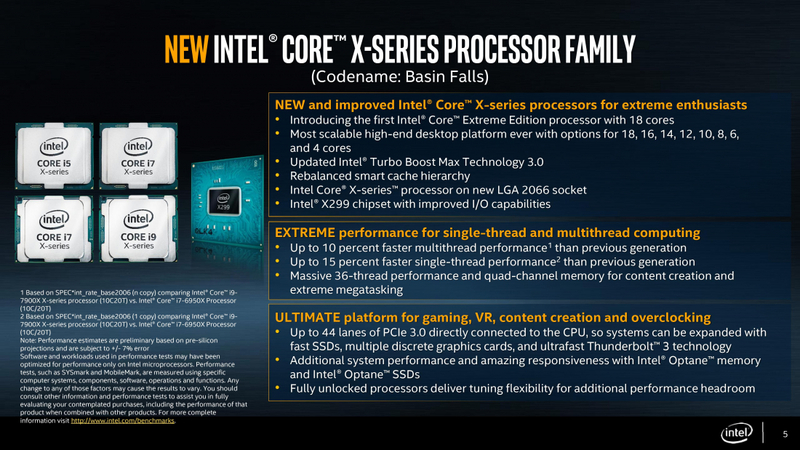 At the top of the Core X-series sits its answer to AMD’s 16-core/32-thread Threadripper CPU: the $1999 i9-7980XE, which boasts an astounding 18 cores/36 threads. 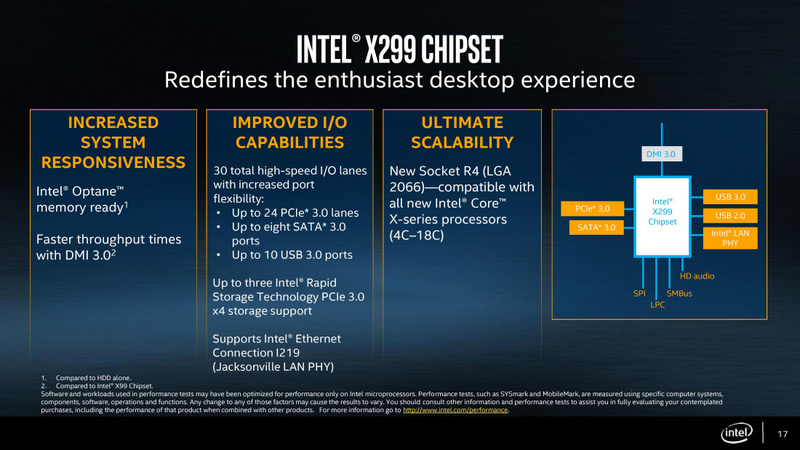 Intel says the i9-7980XE is the first ever teraflop desktop PC processor. 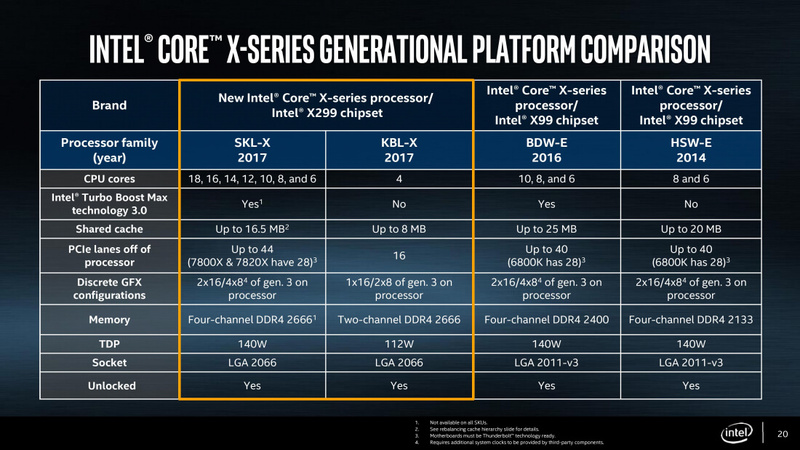 Two grand is an awful lot of money, but this is the flagship chip; the rest of i9 X-series are cheaper. Available in 16-core, 14-core, 12-core, and 10-core versions, these Skylake-based chips range from $999 (for the ten core i9-7900X) to $1699. 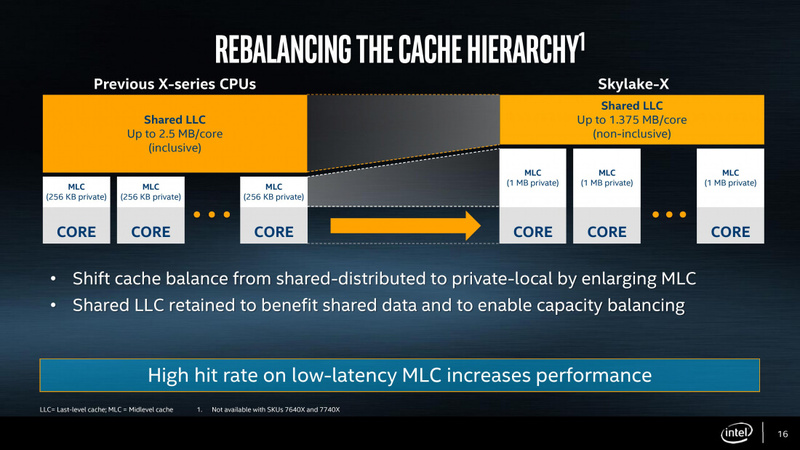 Intel says that compared to Broadwell-E chips such as the $1723 10-core i7-6950X, the new CPUs offer 15 percent faster single thread performance and are 10 percent faster when it comes to multithreaded tasks. The i9-7900X chip comes with a base clock speed of 3.3GHz, which jumps to 4.3GHz dual-core speeds when using Turbo Boost 2.0. And thanks to the improved Turbo Boost 3.0, which can dynamically identify and overclock the two “best” cores, it can hit 4.5GHz. 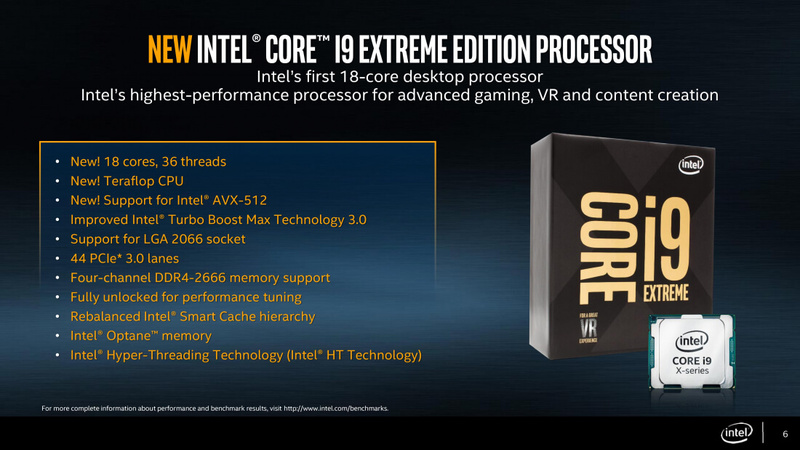 Intel hasn't yet revealed the clock speeds for the rest of the Core i9 chips. 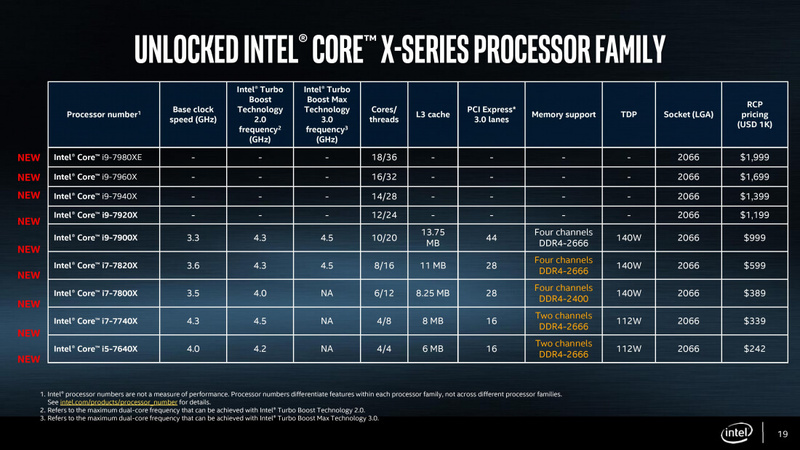 For those on a tighter budget, there’s the Core i7 and i5 X-series CPUs. 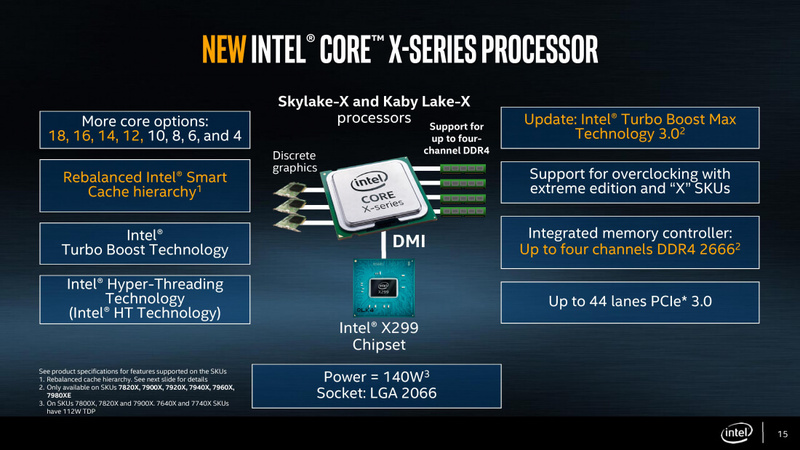 These include the only two Kaby Lake-X processors in the new line: the i5-7640X ($242) and i7-7740X ($339). All those cores mean things can get toasty. 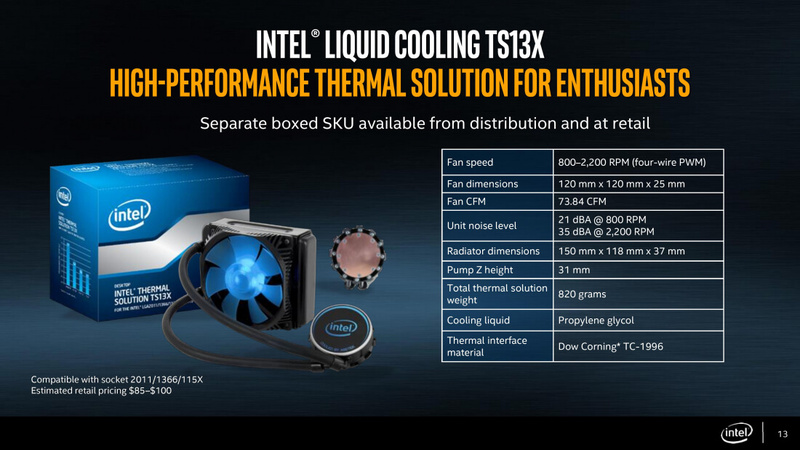 As such, Intel is selling its own liquid cooler designed for the 165W TDP and 140W TDP of the new chips. It's estimated retail price is between $80 - $100, and it also works with some previous generation CPU models.